This year’s conference will provide critical information and analysis about the changes and challenges facing health centers, as well as opportunities as the nation’s health system undergoes major transformation to expand coverage, drive quality improvement and reduce costs. For more information about the conference, go to: meetings.nachc.com/?page_id=83. Please spread the word to other NACHC members to support Dr. Wang and continue to ensure that there is Asian American, Native Hawaiian, and other Pacific Islander representation in the NACHC Board. I have had the privilege of serving as a community health center and public health family physician and Medical Director for over twenty years. Indeed I consider myself most fortunate to have found a professional home as a safety net provider where I am part of a team committed to providing quality primary care for all patients. As a safety net provider I have an appreciation of the vital role NACHC has in my work as a clinician member on the health center team. I have also learned that consistent clinician leadership is an integral part of community health center leadership team efforts to provide quality care for our patients and the community. For the past two years I have had the opportunity to serve as one of two elected Clinician Representatives to the NACHC Board of Directors. 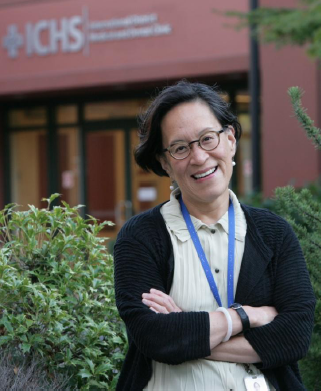 During this time, International Community Health Services (ICHS) in Seattle, Washington, like many of our health center colleagues around the country, has responded to the growing need for care and increasing numbers of uninsured due to the worst recession our country and state have seen in over 30 years. Despite the challenges we have faced at ICHS, like many of our colleagues around the country, we have moved forward with opening new practices and obtaining Patient Centered Medical Home recognition in preparation for the unprecedented opportunities that lie ahead with the Affordable Care Act. Now more than ever, our NACHC board also needs consistent clinician leadership and participation.